An economical cover choice for the consumer with an occasional need for outdoor protection. 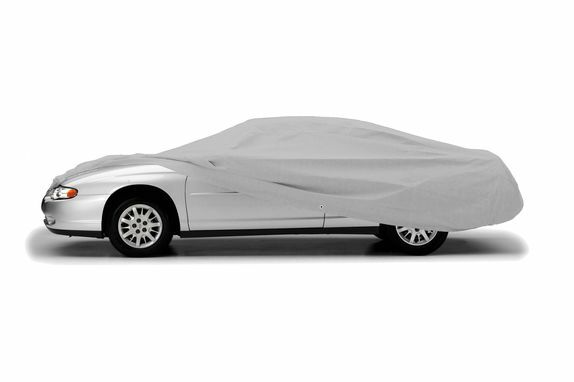 Wolf® Ready-Fit 200 Series fabric from KimberlyClark is a 3-layer non-woven composite, ultrasonically laminated to provide a high degree of indoor dust protection while remaining breathable and helping provide good basic UV protection for your vehicle when used outdoors. Ready-Fit offers a looser fit which applies to your vehicle and vehicles with similar dimensions. As such, Wolf® car covers will usually be without mirror pockets, whereas most truck, SUV, and van covers will have loose mirror pockets.